Using various quality measures to characterize tets as type: sliver, wedge, cap or needle elements. 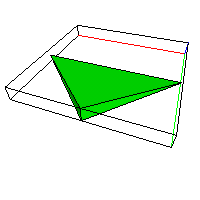 Sliver: Characterize by small minimum dihedral angle and large maximum dihedral angle but not a large solid angle. 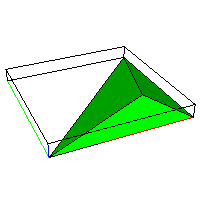 Cap: Characterize by large maximum solid angle. 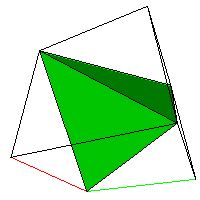 Needle: Characterize by small min/max edge length ratio but not small minimum dihedral angle. 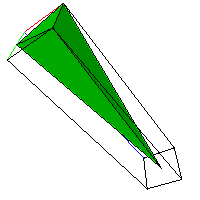 Wedge: Characterize by small minimum dihedral angle and small min/max edge length ratio. 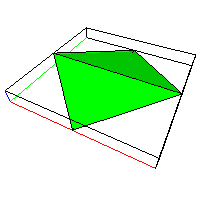 Example: LaGriT input file to identify sliver, cap, needle and wedge type elements. * Define adjustable parameters to determine cut-off values. * Set up some attributes to tag the elements.